Snari and Ketilbjôrn had the stone raised in memory of Ulfr, their father; and Gyríðr in memory of her husbandman. 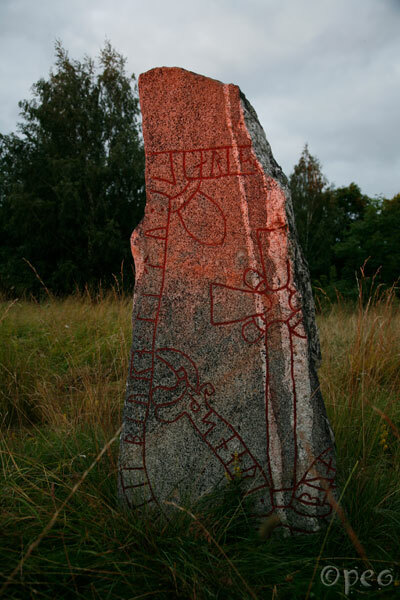 The full text on this rune stone must have been recorded some time. Now only a bit more than half the stone remains. The last rays of the setting sun shone on the upper part of the stone.